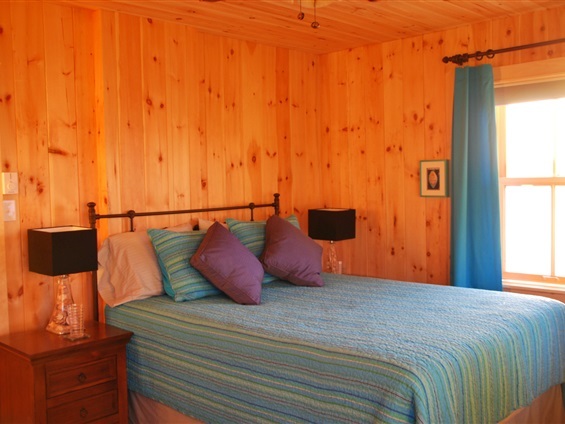 LUXURY & LOCATION... BEST in the BIGHT! LUXURIOUS LODGING ATOP ITS SEASIDE CLIFF! SPECTACULAR SWEEPING VIEWS OF TOWN AND HARBOUR ALIKE!! COMMANDER'S KEEP VACATION HOME... THE BEST IN THE BIGHT! 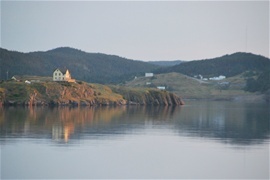 Harbour Reflections of Commander's Keep at dawn of a summer's day. 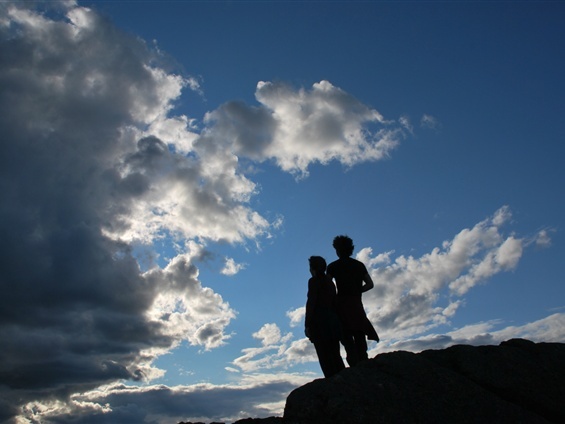 *Our NO PETS and NO SMOKING policies insure a LOW ALLERGEN ENVIRONMENT for our guests. It has consistently received 4-5 Star Reviews on TRIP ADVISOR, FLIPKEY, and HOMEAWAY since hosting guests over the past 5 years. 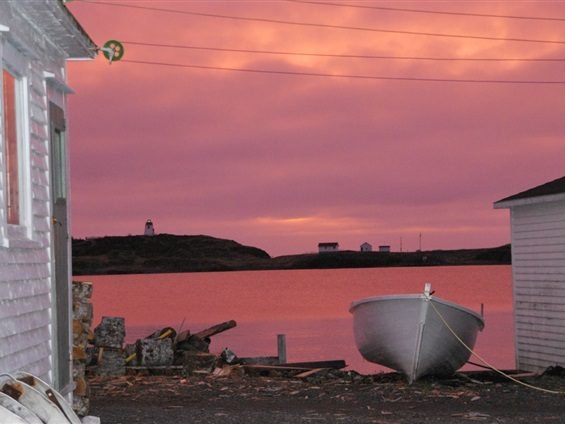 We hope you enjoy perusing our website and that some day you will have the pleasure of experiencing this wonderful part of the world with Newfoundlanders who have big, warm, generous hearts! They are the best!!! Be sure to click on the three E's below to have a peek at what is in store for you at COMMANDER'S KEEP!! Ready to escape the frantic pace of the city? This refuge, COMMANDER'S KEEP, beckons. 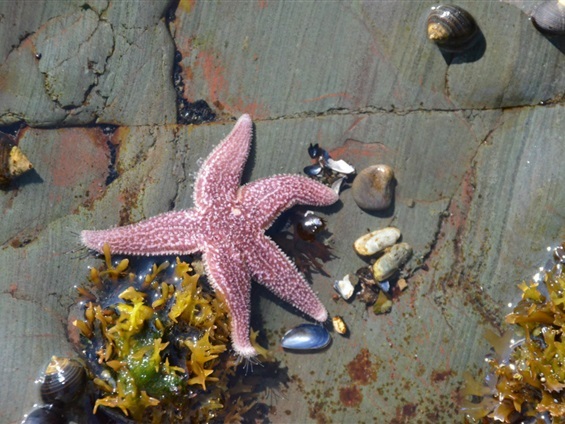 Not only is there Trinity to explore, but nearby surrounding areas, and sites along the coast of Bonavista Peninsula, south of Trinity and then north to the tip at Bonavista! 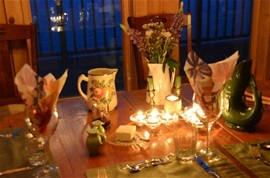 At the beginning of each day, or after your day of exploration, relish the private luxury of this superb vacation home! St Paul's Church from Lower Gun Hill. 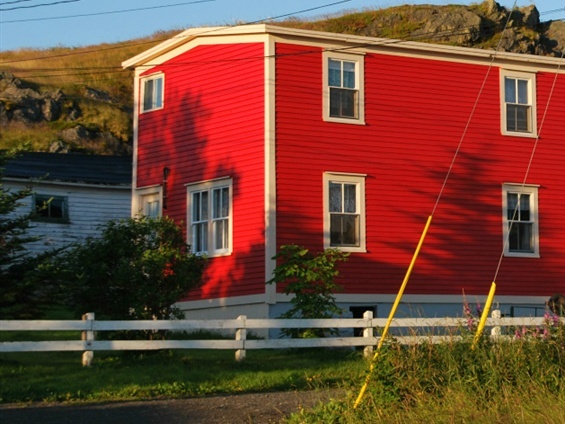 A typical Newfoundlander house as seen on a street of Trinity. 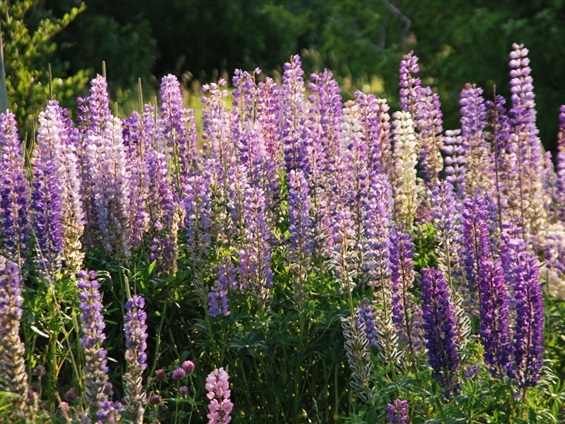 Lupines growing wild in early summer! A guest's photo of Commander's Keep. 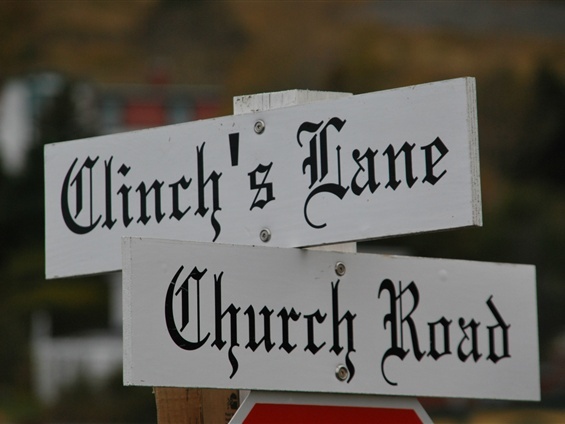 The nearest intersection to 14 Clinch's Lane, Trinity. 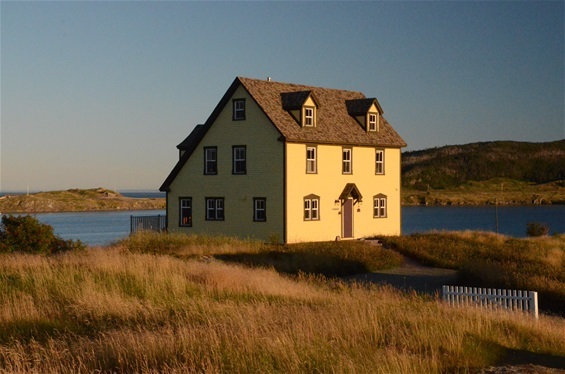 Situated in one of the ten areas, rated by "Escape Here" Travel Reviewer, as having the Most Breathtaking Views in Canada, Trinity is described as "postcard perfect". Exquisitely picturesque: 360 degree views from the top of Gun Hill, high above the Town, one can see not only Trinity, but faraway outports, the Harbour all 'round, rolling hills, ponds, and lakes extending inland forever, and ocean as far as the eye can see! 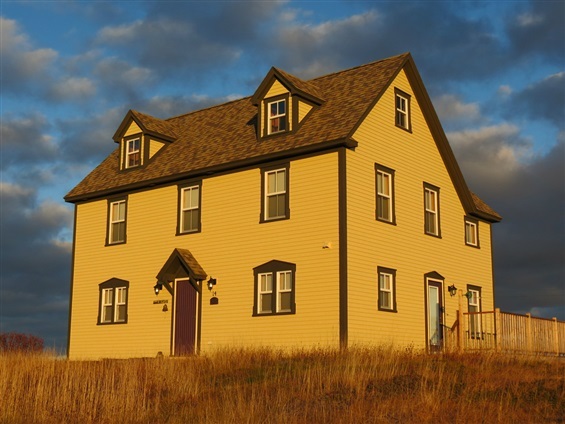 This is a newly constructed saltbox style home has a traditional feel, yet with every modern convenience and comfort one could wish for! A huge wraparound deck overlooking the Harbour and ocean beyond, with full length windows afford panoramic vistas of the coastal grandeur, magenta sunrises, and stunning sunsets. 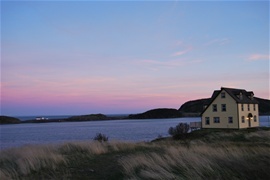 From the deck, one also has views of the town of Trinity with Gun Hill as the backdrop. Every room in the house has two or more windows which catch the ocean breezes off the water, keeping the house continually refreshed. Surrounding Trinity are meadows where wildflowers, and wildlife abounds: bald-headed eagles, foxes, moose can be seen. 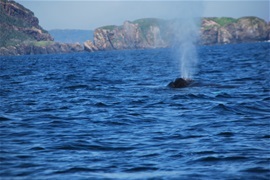 If one is lucky, there may be otters or whales close in to shore! In Trinity: Historical Walking Tour happens once a day at 10am except on Sundays. Several museums, shops, crafts, hand-made jewellery, artworks and paintings, Churches, and fine dining are all within a 5 minute walk. Our very own Rising Tide Theatre in Trinity usually runs half a dozen plays each Season, as well as Trinity Pageant. 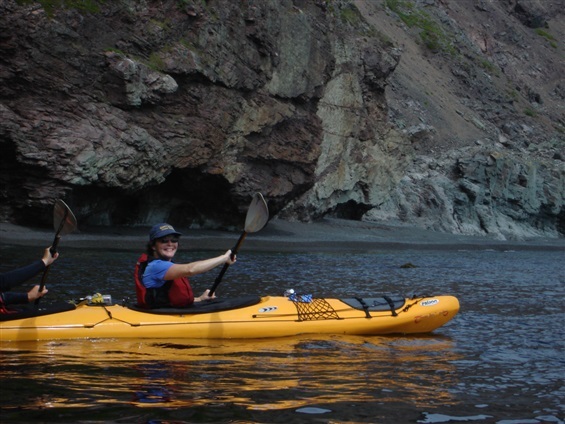 Kayaking tours are offered in the Harbour and beyond Fort Point, weather permitting. The ultimate hiking trail at the Skerwink Headland awaits you just across the Harbour! Other hikes just up the coast are at Fox Island and Horse Chops. 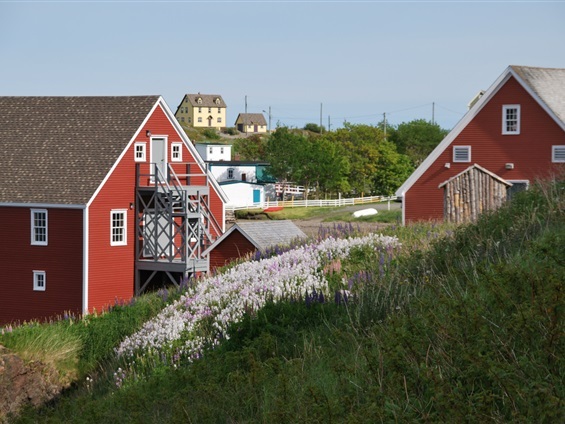 Nearby activities: On whale watching tours not only will one see a variety of different species of whales, but frequently puffins and cormorants, or otters on the shoreline.The best place to see puffins is on the rocks at Elliston, which is the Root Cellar Capital of the world. Terrific berry picking is throughout the Peninsula when in season. 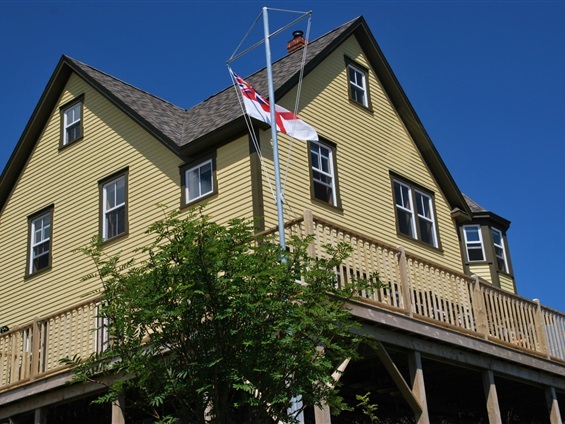 There is a replica for viewing of "The Matthew" that John Cabot sailed to Bonavista. The Garrick Theatre is nearby and has a variety of plays and musical presentations throughout the Season. South of Trinity one can see the set of "Random Passage", and in Old Bonaventure there is Rugged Beauty Boat Tour out to Ereland's Eye and other islands that were deserted at the time of resettlement. 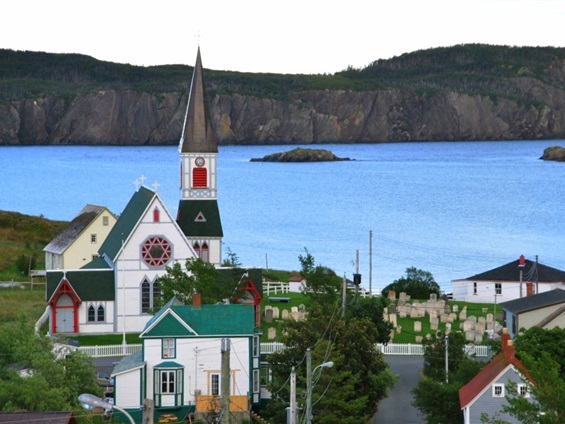 English Harbour has a centre for the arts with visiting artisans from time to time. COMMANDER'S KEEP has the best location in "the Bight" to view spectacular sunrises, and magnificent moon rises over the Skerwink from your private cocoon of luxury! The main floor has an open concept design. 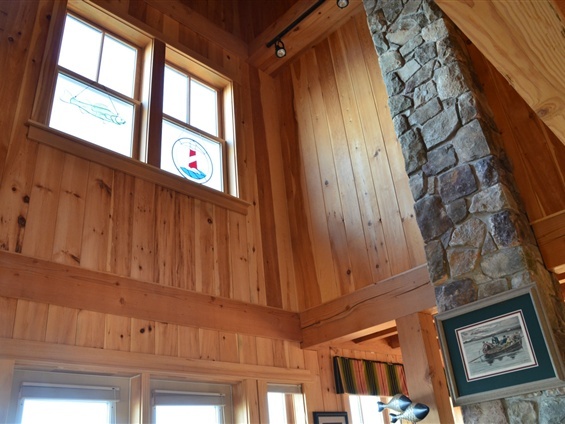 Pine floors, natural wood walls, high ceilings with beams,and the double sided wood-burning fireplace all contribute to a feeling of cozy intimacy. 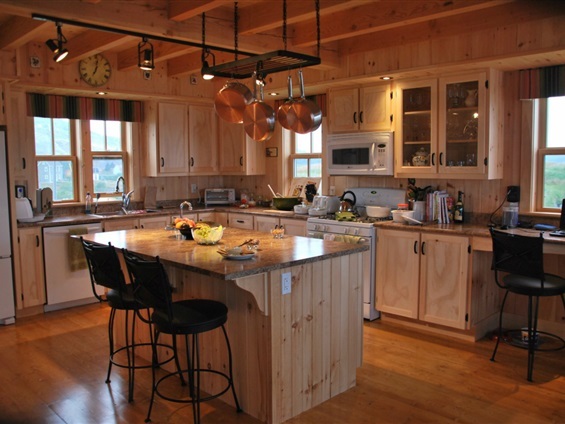 The fully equipped gourmet kitchen opens onto a dining area from which one has numerous views of the Harbour. there is a large bathroom with a two person soaker tub, separate shower and laundry facilities on the main floor. Another full bathroom and an ensuite off the master bedroom are on the second level. All three bedrooms have pillow-top mattresses (2 Queen, 2 Twin), luxury linens, bedding, and towels, and fluffy bathrobes. 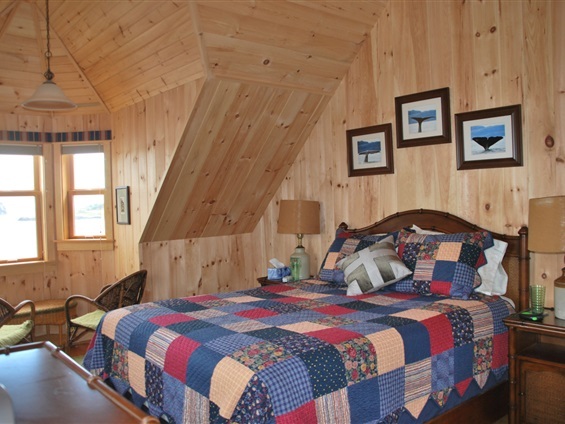 The 'retreat area' in the master bedroom gives a birds-eye view of the lighthouse and ocean! Unforgettable memories will leave you anticipating the next visit that you will have at Commander's Keep!